Small businesses are experiencing a considerable drop in access to finance, research conducted by the Forum of Private Business (FPB) suggests. Since November the FPB has regularly asked 150 small businesses, among its 22,000 members, how they are faring. This month a third said they have found it much harder to get finance in recent weeks and dissatisfaction with banks has also significantly increased. 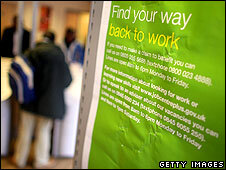 The figures were passed to Panorama for Monday's programme on small businesses. 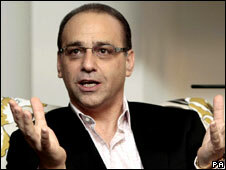 In the programme, Credit Where It's Due, business guru and Dragons Den star Theo Paphitis looked at how small businesses were faring during the recession. Often called "the lifeblood of the economy", small and medium-sized enterprises, or SMEs, employ 13.5 million people - 59% of the UK's total private sector workforce - according to the Department for Business, Enterprise and Regulatory Reform. 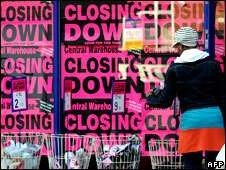 But with the economy in recession, many of UK's 4.4 million SMEs are having to fight just to stay in business. The FPB says that the results of their poll suggest that the latest financial packages from the government have not yet delivered what was hoped. "Lending to small businesses in the forms of loans and overdrafts has not increased significantly and our latest research shows it is in decline," FPB spokesman Phil McCabe told Panorama. Thirty-two percent of the FPB panel of 150 businesses said their access to finance had deteriorated when they were questioned between 5-10 February. Just 2% said conditions had improved, while 66% reported no change. A significant proportion of businesses have had their applications for new finance refused, the FPB said, and a small number have had their loans or overdraft facilities restricted. Fifteen percent of the companies on the panel also said that there had been an increase in the banking fees paid, including arrangement fees and transaction fees. Two percent reported a decrease, while 83% reported no change. In January, the government unveiled a plan to guarantee up to £20bn of loans to small and medium-sized firms to help them survive the downturn. Central to the plan is a £10bn Working Capital Scheme designed to help banks lend much-needed capital to small and medium-sized businesses under which the government will provide guarantees on 50% of £20bn short-term loans to businesses with a turnover of up to £500m. The government is also setting up an Enterprise Guarantee Scheme as part of the support package, which will secure up to £1.3bn in additional bank loans to companies with a turnover of up to £25m. These companies will be able to borrow a maximum of £1m, with 75% guaranteed by the government and, according to Business Secretary Lord Mandelson, the money can be used for working capital - to pay wages for example - or for new investment. And the government is setting up a £75m Capital for Enterprise Fund specifically for businesses with high levels of debt that have "exhausted traditional forms of financing", Lord Mandelson said. Panorama: Credit Where It's Due was broadcast on BBC One on Monday 23 February at 8.30pm.